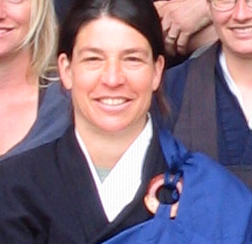 Seido is a student of Kyogen Carlson and transmitted Lay Teacher at Dharma Rain Zen Center in Portland, OR. She leads a small sitting group and seasonal retreats at the Empty Field Zendo, located on her organic farm outside Eugene, OR. She also makes monthly visits to her home temple in Portland for dharma talks and small group activities and teaches Meditation and Mindfulness classes in Eugene. Her approach as a Lay Teacher integrates training experience with several Zen lineages (SFZC, Zen Community of Oregon and the Eugene Zendo) alongside the teaching of 25 years as an organic farmer, and current part time practice as a psychotherapist with Open Field Therapy.